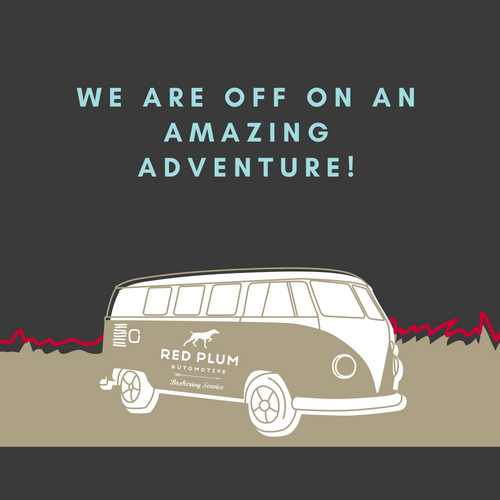 To say we are excited about the Kombi T1 Splitty adventure we are taking is an understatement! Hence why we want to share it with you. It is hard to say exactly when it began because it feels like the idea of owning a Kombi bus began in childhood with a matchbox toy. But the grown-up adventure began 6 months ago when we embarked on our own car buying journey. To buy a Kombi T1 Splitty. It has now become so much more though. Even the 50 plus years of collective experience, we have at our fingertips in the office we always knew this would not be easy. Why, you ask? Isn’t that what we do. Find people their dream car and save them time and money! Now here’s the thing…finding THE Kombi T1 Splitty in plum condition and for a price that wouldn’t break the bank was the challenge. We want to not only live the dream but invest in the future. A challenge we were up for! Buying a vintage or classic car comes with plenty of challenges. READ our blog post-Top Tips For Buying Classic Vintage Cars. Add to this the fact the Kombi T1 Splitty was built between 1950 – 1967 and was built to a budget. It was always meant to be affordable and do a job. In other words no luxury specs here. This car was a car for the people. A car that stood for work, freedom and adventure. In fact, it was these adventures that now makes finding a dream Kombi T1 Splitty so hard. These mighty buses would go anywhere from the snow-capped Alps of Europe to the beaches and outback of Australia to the food truck heaven of Brazil. To learn more about the history of the Kombi this article explains it simply. General on-line research to narrow down what was our dream model and what we could expect pay. Our go-to-tools were CarSales, Gumtree, Facebook Market Place, Shannons Classics Auctions, Lloyds Auto Auctions and numerous Facebook Community Pages for Kombi T1 Splitty and VW Kombies. We reached out to others on the same journey and those in the “Dubbers” community. Generally, we found them to be a very passionate group of enthusiasts pursuing a lifelong dream and happy to share. Start a Pinterest page of our Kombi T1 Splitty’s in all their colours to try and narrow down the year, style and colour of choice. Whilst we have narrowed it to 2 favourites we have to say this is no easy feat. We love so many colour combinations. We also had some fun with this App from Komb-Nation designing our dream kombi. Warning, this app is very addictive! Do more research. After nearly 6 months of researching the Australian market for THE Kombi T1 Splitty of our dreams, it became very clear this was going to take a while. A fully restored Kombi T1 Splitty in plum condition was not easily available and the one we did locate the price was well over our budget. Which brings us to more research! What about importing our dream Kombi T1 Splitty? Sounds risky. Particularly when there are many people sharing their experience online who try and either fail or end up with a Kombi that is not as described. There are also many forums discussing Kombi imports that are less than flattering. From the country of origin to build quality and price. Like many things in life, not all are created equal. Importing a Kombi is no different. Our drive now has become to find the best car that we can import for us and others. Once again the Facebook community and “dubbers” are a great source. After days of internet searches and late night conversations with individuals across time zones, we began making connections in Brazil. Why Brazil? Because Brazil was still manufacturing the Kombi T1 Splitty until 1975. Yes, there were lost in translation moments but we kept going. At times feeling like we were both investors and detectives. At the same time, we began researching the Australian Government’s car importing requirements and costs. Whilst not difficult the devil is in the detail as they say. There is a decent amount of paperwork that you need to complete. Submit to your chosen importer before the car can be shipped. If all Australian requirements are not met then the Kombi cannot be sent to Australia. Generally, by this stage, the Kombi will have been paid for. Now we are talking risk. Next on the agenda was searching out the best import agent that we could rely on, trust and was competitive in their pricing. Fortunately, we found we already had good contacts. We knew then we were in safe hands. Step 3 – Even More Research. You would think by now there was nothing more to research. Not true. There is plenty more to research. Remember the Lost in Translation Moments we spoke of? That is why we decided to go meet the people behind the keyboards and phones. Because we did not want to be a statistic. Nor did we want our dream Kombi T1 Splitty to be anything less than perfect. You might question our investment in this but we felt it was worth it. Particularly now we could see this was more than our dream this was the dream of so many people that we spoke to. We now want to help others. So the stakes are even higher. Book flights to Brazil from Australia. We recommend flying with Qantas and Latam and allowing 7 days in total to get the job done. There is no direct flight & the flight is long. Using Qantas and Latam is the easiest in our view. If you want to experience a little more of the exciting Brazillian culture make it 14 days! We could not but maybe next time. Book a hotel in Sao Paulo in a good neighbourhood with no more than a 30-minute taxi ride from garages. Check out our 23 Best Recommendations In Sao Paulo. Check passport is up-to-date and apply for a visa. Give your self 1 month to allow for any delays. Brazil requires a visa to enter and they are very strict on the documentation you submit. We used CIBT Visas Australia Concierge Service to ensure compliance and no delays – from our end. There was a two-week turn-around for us. Take some Brazilian Real pronounced “hey-al” with you. The flight gets in at night and cash is an important part of the Brazilian culture. This way you can hit the ground running after a good nights sleep. We spent four days in meetings with our contacts and visiting the restoration garages to check the work and meet the people. We were warmly welcomed and began to understand this was no simple tick and flick part of the due diligence process. Getting one Kombi T1 Splitty into Australia in plum condition was looking feasible but bringing a supply was not looking strong. We headed back to Australia having grown our knowledge and understanding not only of our beloved Kombi T1 Splitty but also about the risks of importing and doing business overseas. Stage 5 -Proceed or Not? The simple answer is yes, however, we will be proceeding more slowly and trialling our process and systems with one Kombi T1 Splitty which we are currently negotiating. Once we have our first we will report back. Our adventure so far has been both exciting and challenging. To fulfil our dream of bringing the Kombi T1 Splitty to our garage and yours. This will definitely happen however we are taking baby steps to ensure we get THE Kombi T1 Splitty of our dreams, not just any Kombi T1 Splitty. In other words, we are taking the time to enjoy the journey. To appreciate and value what it means to own one of these unique and special vans. To indulge in the time taken and reflect on the design that really did change so many lives around the world. Playing our small part in helping the spirit of freedom and adventure for all live on through the beauty of the Kombi T1 Splitty.